The basic plot from Amazon: Just after midnight on July 30, 1945, the USS Indianapolis was torpedoed by a Japanese submarine. The ship sank in 14 minutes. 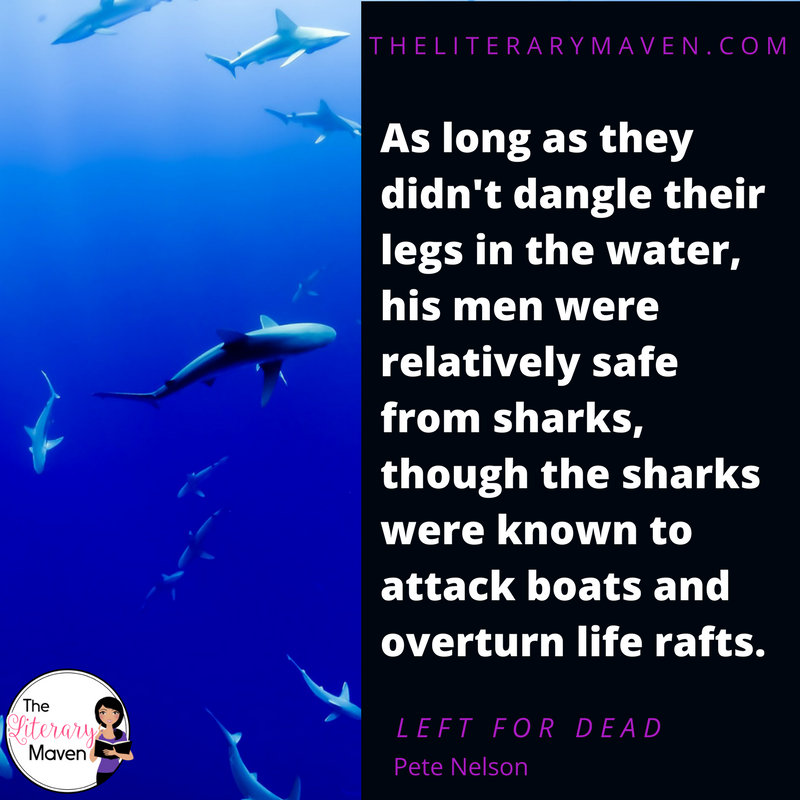 More than 1,000 men were thrown into shark-infested waters. 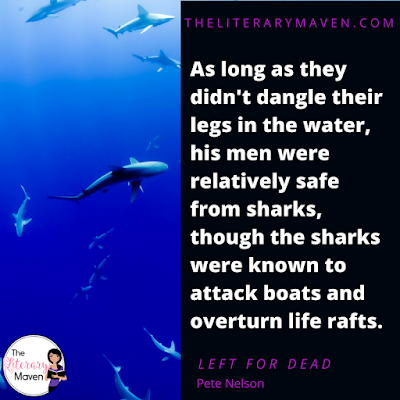 Those who survived the fiery sinking—some injured, many without life jackets—struggled to stay afloat in shark-infested waters as they waited for rescue. But the United States Navy did not even know they were missing. The Navy needed a scapegoat for this disaster. So it court-martialed the captain for “hazarding” his ship. The survivors of the Indianapolis knew that their captain was not to blame. For 50 years they worked to clear his name, even after his untimely death. But the navy would not budge—until an 11-year-old boy named Hunter Scott entered the picture. His history fair project on the Indianapolis soon became a crusade to restore the captain’s good name and the honor of the men who served under him. Why I liked it: Left For Dead is focused on a little known event from World War II, a time period of great interest to me. The novel definitely reminded me of the struggles of Louis Zamperini in Unbroken, but on a much larger scale. Some parts of the books were heavy on military operations, but I loved the narratives of the men aboard the USS Indianapolis. Classroom application: This book would be perfect for middle or high students who are war buffs or love adventure tales. Since the book was inspired by the research done by a student, it would lead perfectly into a research project. Students could investigate other lesser known events from World War II or other more recent conflicts. Students could also seek out local veterans to interview. The book could also be part of a survival unit and students could research best practices on how to survive in a similar situation, evaluating which actions that the men took helped them most and hurt them most. 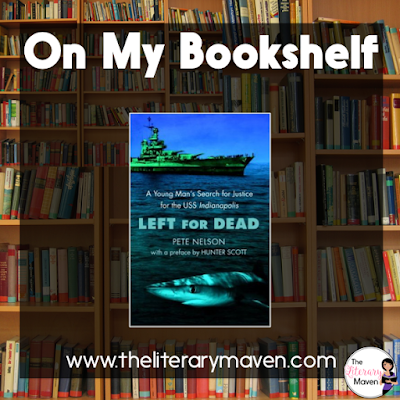 If you are interested in purchasing a copy of Left For Dead for yourself, you can find it on Amazon here.